Gold Plated TDAD (TD2) - risks associated with the "known unknowns"
FundApps has you covered for implementing the Transparency Directive Amending Directive (TDAD). Our company is locked in and focused on all the challenges ahead of the deadline on 26 November, 2015. You can view our full coverage of TDAD, here. 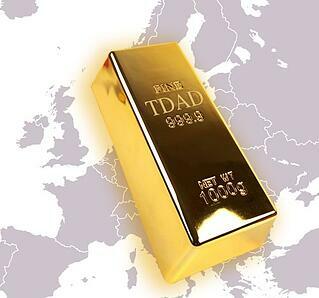 Our third blog post on the subject will dive into the concept of ‘gold plating’ TDAD and what that will mean for individual jurisdictions. As mentioned in our initial post on the subject, TDAD is an EU regulation, a directive is not a self-executing legal act, it requires implementation. The EU Member States are bound by the resulting effect of a directive and can freely choose the means of achieving that result. In addition, the Amended Transparency Directive precisely sets out which disclosure rules individual Member States can and cannot make more stringent. On that account, one should expect differences in shareholding disclosure rules across the various EU jurisdictions, which when implemented, will have to be reviewed and applied separately. applying laws and regulations in relation to takeover bids, merger transactions and other transactions affecting the ownership or control of companies. exemptions from the disclosure requirements. Some jurisdictions, such as UK and Spain have already announced what their gold plate requirements will be, and confirmed the expectation for them to be implemented for the 26th and 27th respectively. Other jurisdictions, such as Sweden will go live in Q1 with potentially unique requirements without a minimum timeframe of when they will disclose those requirements prior to implementation date. The concern is around the "known unknowns". There is additional risk in that more than half of eligible jurisdictions have not yet indicated their gold plating requirements and the date which it will be implemented- this could lead to a short timeframe to implement these rules and represents a major challenge. Thankfully, there is a solution. FundApps’ managed service is ideal for these specific circumstances. Our client service team of compliance experts will keep your firm compliant with gold plating and implementation requirements for all jurisdictions involved with TDAD. If you have any questions- don't hesitate to get in touch.